Brooklyn Stitchery Join us for our Open House on Jan. 17th! Join us for our Open House on Jan. 17th! If you haven’t been to Brooklyn Stitchery, come and see what our sewing classes are all about! Meet our teachers (we have a new teacher joining us with details to follow), see what projects you or your child can make at our sewing classes and find out about our new workshops for the winter season! We are having a special guest, Angela Azzolino from Get Women Cycling at our Open House for sewing classes and are offering a special workshop for GWC members on January 28th from 10 – 1! 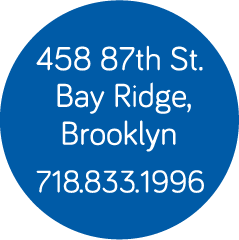 Our classes are located in Bay Ridge, Brooklyn. We are just a block away from the R train and near major bus lines. Did you know NYC currently has over 750,000 people commuting by bike daily? That’s up 360% from 15 years ago and the city is committed to doubling bicycle ridership by 2020! There’s no time like the present to start bike riding…yes, even in the winter!! Get Women Cycling(GWC) is a membership-based program located in NYC designed specifically to get more women bicycle riding and keep riding. We meet monthly for GWC events, workshops and group rides celebrating our city’s accessibility and culture, while promoting health, affordability and sustainable travel. We partner with local bicycle shops, bike friendly businesses, community organizations, local government and advocacy agencies to provide all city cyclists a visibly solid network of support and positive bike riding experience. We do this because we believe riding a bike can make life better! If you need help riding a bike, finding or repairing a bike, learning how to navigate city streets, dressing for inclement weather, packing for commuting, riding with your family, finding products, or sourcing services we are here for you!